Toronto Maple Leafs Press Box Watch - Who Will Crack the Fourth Line? 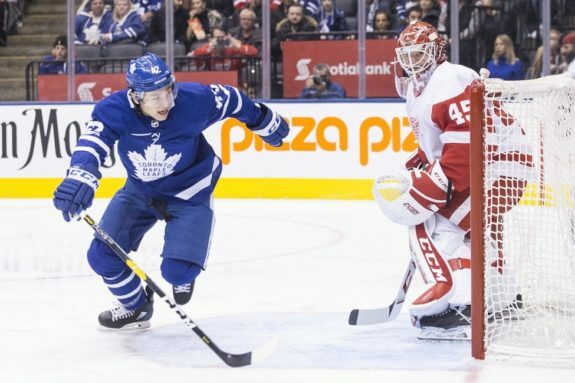 Press Box Watch – Who Will Crack the Maple Leafs Fourth Line? With five games remaining in the regular season, the Toronto Maple Leafs forward corps appears to finally be healthy. With the playoffs drawing near and Kasperi Kapanen returning from a concussion, it will be interesting to see how the lines shake out. The only line that head coach Mike Babcock hasn’t really touched is the Zach Hyman-John Tavares-Mitch Marner line. The Leafs have arguably one of the most talented top nine forward groups in the NHL with 10 players. Forward spots one through nine seem to be accounted for and Connor Brown is unlikely to slide further than the fourth line. That leaves two spots open on the fourth line with four candidates vying for a spot. Here’s a look at what each one of them brings to the table in a potential playoff series. Despite missing six weeks due to a broken foot, Ennis has tallied 12 goals in 48 games. That’s a 20-goal pace across 82 games, which is impressive for a fourth-line player on a league minimum contract. He is actually third on the Leafs behind only Tavares and Matthews in goals per 60 minutes with 1.528. Compared to Frederik Gauthier (age 23), Trevor Moore (23) and Nic Petan (24), Ennis is the veteran of the group at age 29 in his 10th NHL season. This is actually Ennis’ best goal total since scoring 20 goals in 2014-15 with the Buffalo Sabres. For his resurgent play and battles through injury, Ennis is the Leafs’ nomination for the Masterton Trophy. GM Kyle Dubas on Ennis: “He was going to put the work in and voluntarily bring himself here (last) summer with our performance and strength and conditioning staff to get ready. He told us he knew he had a lot at stake and we thought we could provide him with a great opportunity"
Of the candidates for fourth line duty, Ennis is probably the most skilled right now. He can slide all the way up the lineup and play with Auston Matthews, just as he’s done at times this season if the situation calls for it. He could even see some power play time and give the Leafs a different look come playoff time. 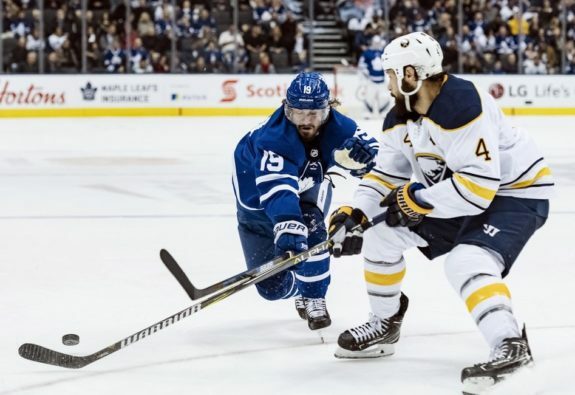 There are few fourth liners out there with his goal scoring ability and the Leafs should be thrilled to have this kind of depth to combat any injury issues they may come across in their quest for the Cup. Of the four players vying for playing time, Petan is the most likely to find himself in the press box. This isn’t to say that Petan is the weakest of the four options. As a recent pick-up at this season’s trade deadline, Petan is probably the least familiar option for the Leafs’ coaching staff. He’s only played in five games for the Leafs since the trade. 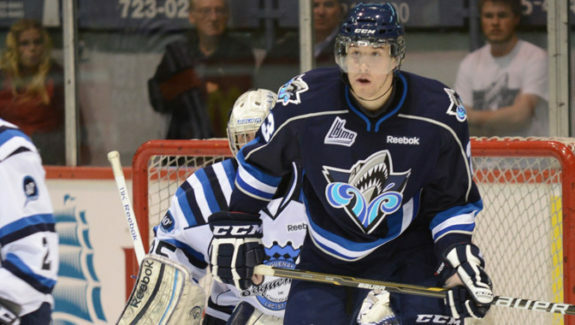 Petan possesses a knack for scoring as evidenced by his 52 points in 52 games for the Manitoba Moose in the AHL last season. In the Winnipeg Jets organization, he fell victim to an abundance of middle-six forward, and as a 5-foot-9 forward, there just wasn’t a fit for him on their fourth line. His pick-up and subsequent signing of a two-year extension were more of a long-term insurance play for re-signing of Toronto’s restricted free agent wingers than it was a win-now move. That being said, if there’s an injury to one of the Leafs’ scoring wingers, Petan has the skillset and potential to play up in the lineup. He’s more of a “break glass in case of emergency” option in the 2019 Playoffs, but beyond this season could be a real piece for Toronto. On the left wing, Moore has plenty of offensive upside. He has 23 goals in 46 AHL games this season. The trades of Josh Leivo and Par Lindholm, as well as a few injuries on the wing, have opened up a spot for Moore to get some time at the NHL level. from ‘Marlies grad Trevor Moore driving success of Leafs’ fourth line’, The Toronto Star – 7/3/19. Moore has a good blend of offensive upside, an active stick and strong board play. He’s the type of player the Leafs can feel confident about moving up and down the lineup over the course of a playoff series. Gauthier is the most traditional fit the Leafs have for their fourth-line center role. He plays a heavy game due to his 6-foot-5, 235-pound frame and is fourth on the team with 94 hits in 66 games. His strength is his faceoff ability, winning 53.9 percent of his draws in 419 tries. He’s been used as a defensive zone draw specialist with 71.7 percent of his zone starts taking place in the defensive end per Hockey Reference. In the playoffs, teams tend to shorten their bench and feed their stars the extra minutes. So why not carry a fourth liner whose game doesn’t demand a ton of ice time and can be used situationally to win that crucial defensive zone draw? The Leafs have options to play center in a pinch if someone goes down. Patrick Marleau, William Nylander and Hyman can all line up at center so there shouldn’t be any worry about Gauthier having to move up the lineup and out of his comfort zone. While Gauthier may lack the speed and skill of his counterparts, I like the idea of having him in the lineup come playoff time. He gives the team a different look with his physical play and I think his faceoff ability could be a huge asset. 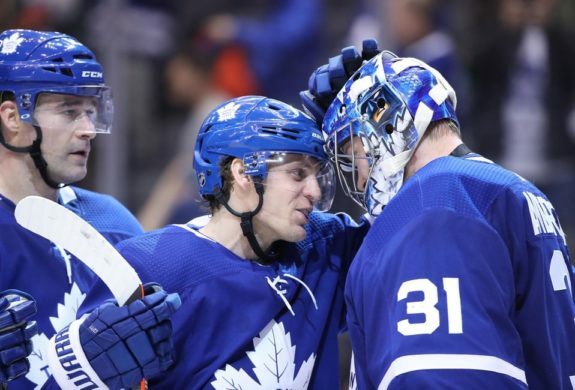 With the Leafs on the cusp of clinching their playoff spot and the lineup still a work in progress, it will be interesting to see what combinations Babcock will ice when the games matter most. It’s possible that we see all four of Ennis, Gauthier, Moore and Petan over the course of a series. With Ennis as the only one with playoff experience (only 14 playoff games in ten seasons), it will be interesting to see who steps up. In the playoffs, depth is key and–at forward at least–the Leafs should feel confident that they’ll have many different options to handle the grind.